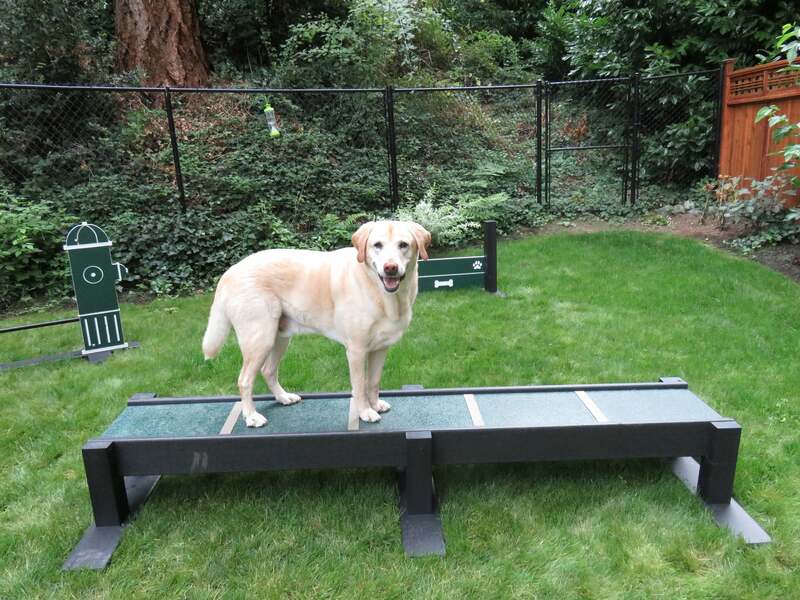 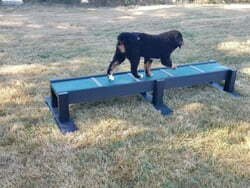 The Eco Balance Beam is suitable for dogs of all sizes and abilities, and is a perfect introduction to agility. 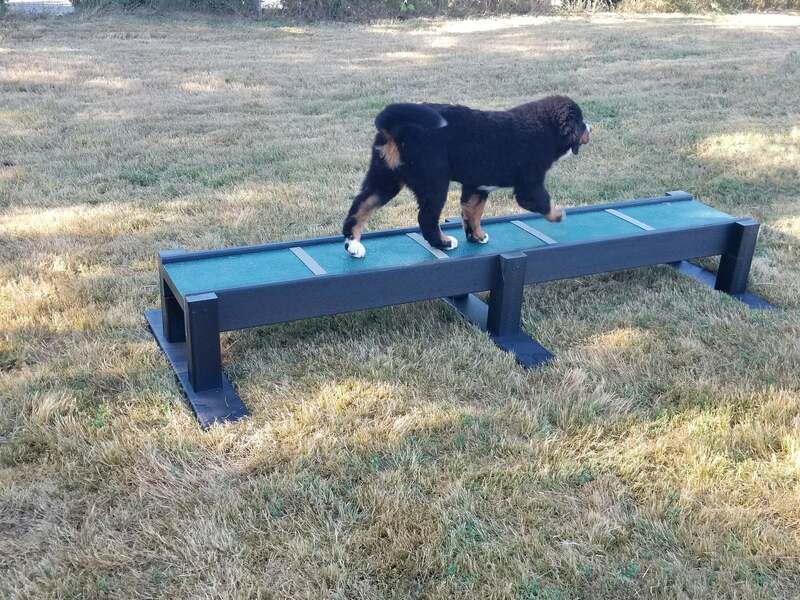 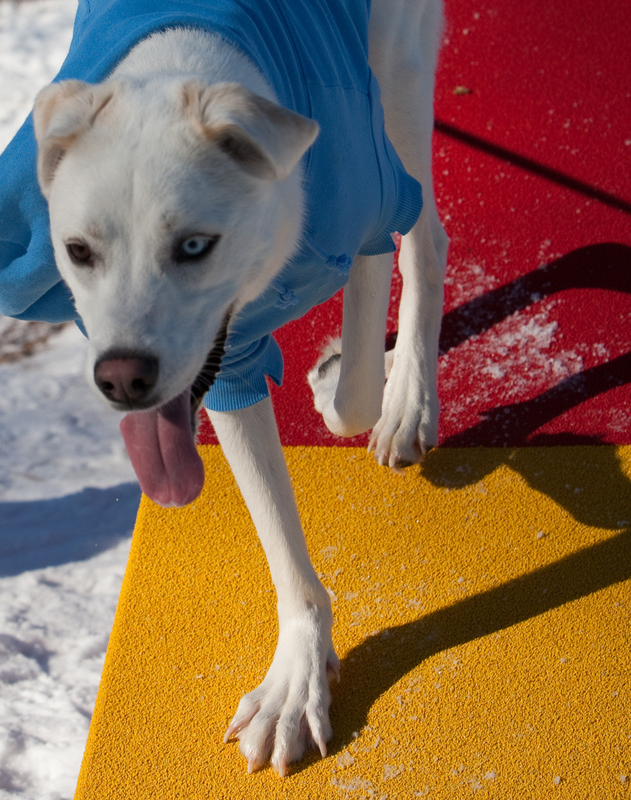 Help build your dog's confidence on a static piece of equipment like this, then move on to the more challenging Teeter Totter. 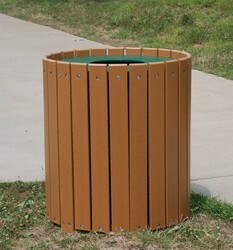 Our base and side accents are constructed with super durable LDPE plastic. 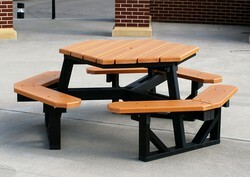 It offers a limited lifetime warranty against warping, cracking, rotting, splitting and damage from insects. 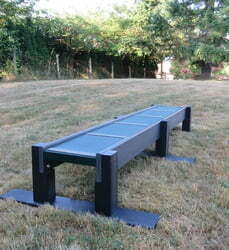 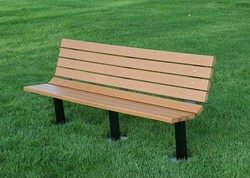 90"L reinforced, heavy gauge aluminum (85% post-consumer recycled content) plank that is 12″ wide and 18"H.